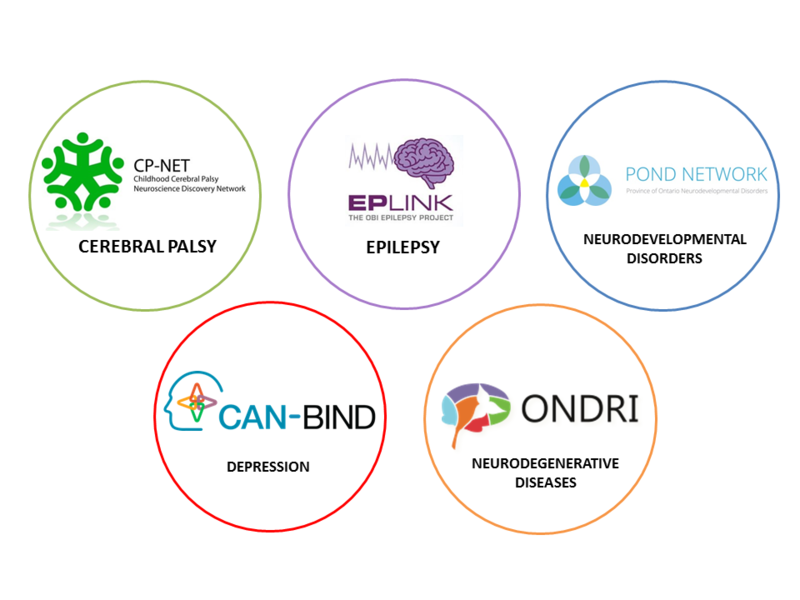 A group of CP-NET’s leading investigators have made new discoveries through pre-clinical animal studies on the regenerative effects of pluripotent stem cells. These special stem cells have the potential to develop into different kinds of specialized cells, such as the ones needed to repair damaged brain tissue. CP-NET researchers have seen positive results in animal studies where pluripotent stem cells placed near the area of brain damage led to the growth of new brain cells, recovering some of the functions lost as a result of the brain damage. With support from NeuroDevNet, CP-NET investigators have taken a revolutionary look at the role of genetics in cerebral palsy (CP). Their work revealed that about 10% of the children studied had significant genetic abnormalities. This has important clinical and educational implications since the cause of CP has historically been attributed to environmental stressors. As a result, this work questions whether the use of standard genetic testing for CP may be important which would dramatically change the diagnostic service-delivery process for individuals with CP. An influential paper detailing these finding was published in Nature Communications – more research is underway to better understand the genetic underpinnings of CP. The CP-NET program has just launched a new video that shows the world why CP research matters. 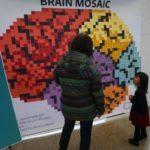 It was launched during the 2nd Annual CP-NET Science and Family Day, on World CP Day, which involved presentations on the latest CP-NET research, engaging panel sessions, and inspiring plenary talks. For more information on CP-NET, take a look at their new website. The POND team takes pride in encouraging collaboration by enabling the success of young researchers. With support from senior POND researchers, Dr. Danielle Baribeau received theRobinson Cunningham Award from the American Academy of Child and Adolescent Psychiatry for the best paper of the year in Child Psychiatry written by a resident while still in training. The interesting results published recently in Journal of the American Academy of Child and Adolescent Psychiatry tapped into the diversity of POND’s patient network to examine differences and similarities across several childhood neurodevelopmental disorders in how social information from eye expressions is perceived. Results showed that children with autism spectrum disorder and attention deficit hyperactivity disorder found it difficult to recognize emotions, particularly positive ones like happy, excited and playful. 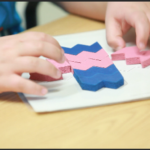 In contrast, children with obsessive compulsive disorders scored highest overall above typically developing children. Interestingly, scores overlapped across the different groups and correlated with other things like communication abilities and hyperactivity showing that the ability to understand social information can vary across all neurodevelopmental disorders, and can be affected by other symptoms, traits and abilities. These findings could lead to the more broad use and adaptation of therapies and interventions from one disorder to the other. · Dr. Margot Taylor, Dr. Elizabeth Pang, Dr. Mary-Lou Smith, and Dr. Evdokia Anagnostou for securing a CIHR grant to look at how thoughts and emotions are understood with the use of brain imaging techniques. · Dr. Jason Lerch for securing a grant from the Government of Canada in partnership with Brain Canada and other private funders which will support testing of new drugs for the treatment of autism, across species. · Dr. Jessica Brian and Dr. Alvin Loh for securing a grant from Autism Speaks to enhance the standard of medical care for autism-spectrum-related disorders and play a role in developing new, effective treatments. Dr. Michael Strong, ONDRI Principal Investigator, chaired the annual International Research Workshop on Frontotemporal Dementia in ALS in June in London, Ontario. The workshop was attended by ONDRI members and in addition to the annual ONDRI workshop, it provided a forum where both clinicians and researchers from a wide range of disciplines had the opportunity to explore the intersection of the two diseases in a highly interactive manner. The ONDRI team is happy to see that these workshops have led to many collaborations, textbooks and international consensus criteria. The ONDRI team would like to congratulate Dr. Sandra Black, ONDRI Alzheimer’s Disease and Mild Cognitive Impairment Co-lead for being appointed to the Order of Canada which recognizes national service and achievement. Read more. ONDRI is coming close to reaching the half way mark for study enrollment. Data are being entered and starting to be analyzed in Brain-CODE and intriguing trends are being found that will be shared when research papers are published. In July, the 2014-2015 ONDRI Annual Report was published, which presents a comprehensive overview of the successes ONDRI has achieved from April 2014 to March 2015. Read the annual report online to learn about ONDRI’s operations, finances, and enrollment. For more information about ONDRI, take a look at their YouTube channel and follow them on Twitter @ONDRISTUDY . Typically, a desired trajectory for medical research involves moving findings from the lab into the clinic – but there’s also an opportunity for knowledge to move the other way. CAN-BIND’s first “Reverse Translation” meeting brought together researchers from both the clinical and pre-clinical side. Focusing on reverse translation has strong potential for the advancement of medical treatments, including the treatment of depression. This research practise allows investigators to explore results from human clinical trials in the laboratory. The purposeful interweaving of clinical and preclinical information can ultimately help identify worthy research questions and inform the design of future clinical trials. As an industry partner of the CAN-BIND program, H. Lundbeck A/S donated biological samples from their clinical trials program to allow the CAN-BIND molecular team the opportunity to do discovery work prior to the analysis of samples collected through the CAN-BIND program. The results from the Lundbeck sample analysis have provided interesting results that will be tested in the CAN-BIND samples. Once replicated and validated, it may be possible to translate these markers into clinical tests to help match the right treatment to the right patients. The CAN-BIND Molecular team presented a symposium at the Canadian College of Neuropsychopharmacology (CCNP) 38th Annual Meeting in Ottawa in June. 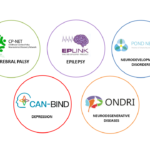 This was the first data-driven symposium by the CAN-BIND team – a landmark achievement. More information on their presentations can be found here . CAN-BIND continues to host free public education events in collaboration with the Mood Disorders Association of Ontario. The events often feature a CAN-BIND researcher presenting new research in depression and a patient advocate who shares insights from their lived experience. The program will soon be expanding their public education events to Vancouver, BC. For more information on the CAN-BIND program, take a look at the article recently produced by Knowledge Translation Media. To stay tuned to their events, follow them on Twitter @CANBIND ,Facebook and YouTube. In some individuals with epilepsy, drugs fail to control seizures. This propelled researchers to look for other ways to stop seizures. A recent study by EpLink researchers showed that brain stimulation was successful at reducing and even stopping seizure development in an animal model. Researchers did this by monitoring changes in brain activity via implanted electrodes. When a seizure was about to begin, a short burst of low-frequency electric stimulation was applied to a particular area of the brain. This stimulation was able to stop seizures before they started. This is an exciting discovery since a similar technique has the potential to be used in humans for the prediction and treatment of seizures, specifically in individuals where drug treatments have failed. A clinical trial is currently being planned. Cannabis has long been researched as a potential anti-seizure treatment for epilepsy. Studies have yielded mixed results over the years – and it is now clear that some compounds found in cannabis are “pro-convulsant” (increase seizures) while others are “anti-convulsant” (decrease seizures). One of the anti-convulsant compounds is cannabidiol (CBD). Growers are now producing strains of cannabis that have low levels of tetrahydrocannabinol (THC) and elevated levels of CBD. Unlike THC, CBD does not make you feel ‘high’ when administered. The CBD extract is known to be safe for human use but more research is needed to determine its effectiveness for seizure control, and this can only be examined through clinical trials. EpLink recently partnered with Epilepsy Toronto to host a forum on cannabidiol for epilepsy. The video will be YouTube soon. EpLink has re-vamped its website and increased its social media presence. Take a look here for the new website and follow them on Twitter @EpLinkON.